When you think of the Gobots, what do you think of? Like many of you, back in the 80s when I asked relatives for Transformers for birthdays or holidays, I often got Gobots. Gobots at the time seemed like a cheap imitation. Little did I know at the time that Gobots came from a Japanese toy line called Machine Robo. 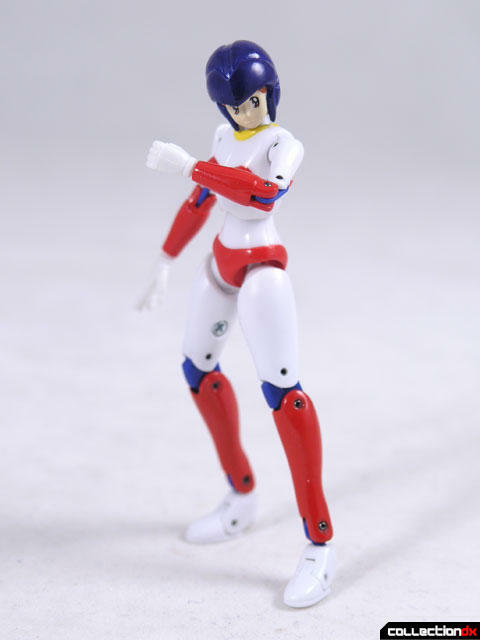 The very first Machine Robo toys were put out by Popy, then in 83 Popy was absorbed into parent company Bandai. 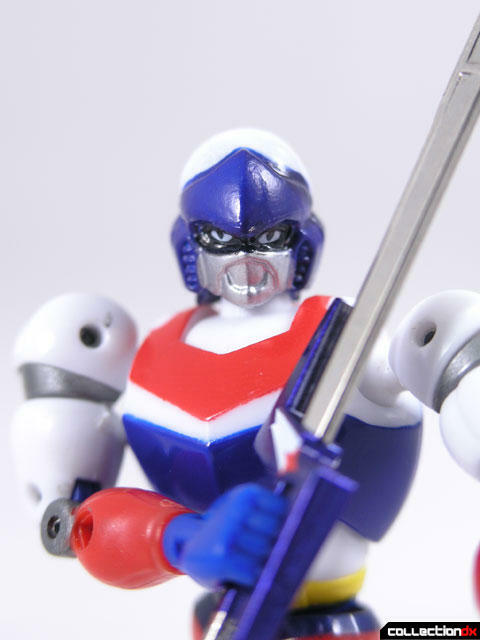 While the Transformers were a mishmash of Japanese toy lines branded under a single name, Gobots were Machine Robo toys, full of metal, and relatively unaltered. 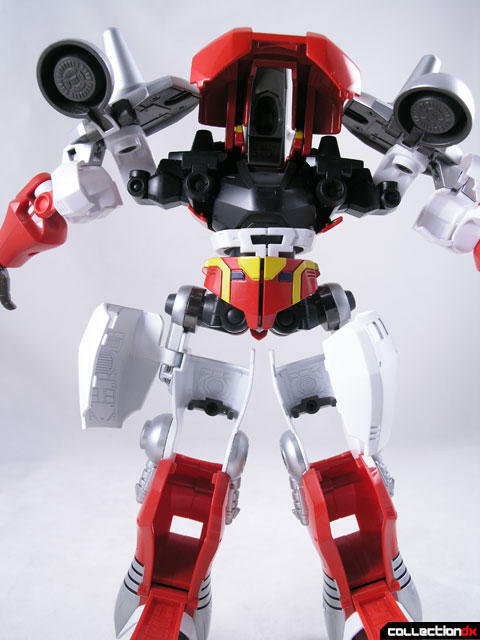 The Gobots line ended in the United States in 1986, but in Japan, the Machine Robo line continues until this very day. This ended up being a terrible tragedy, because in my opinion, the best Machine Robo toys were relased in Japan starting in 86. 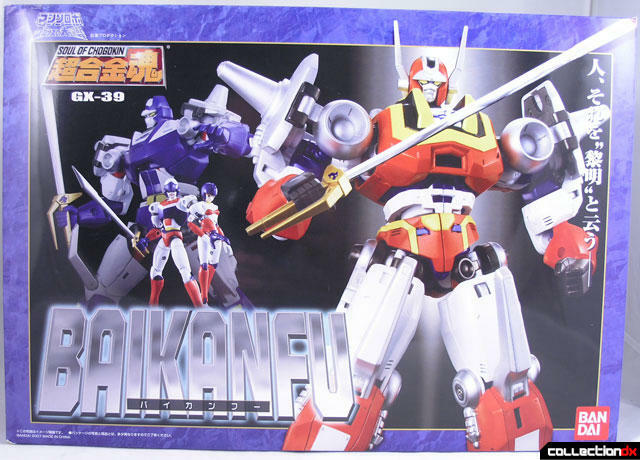 You may be asking yourself, what does the GX-39 Baikanfu have to do with the Gobots? 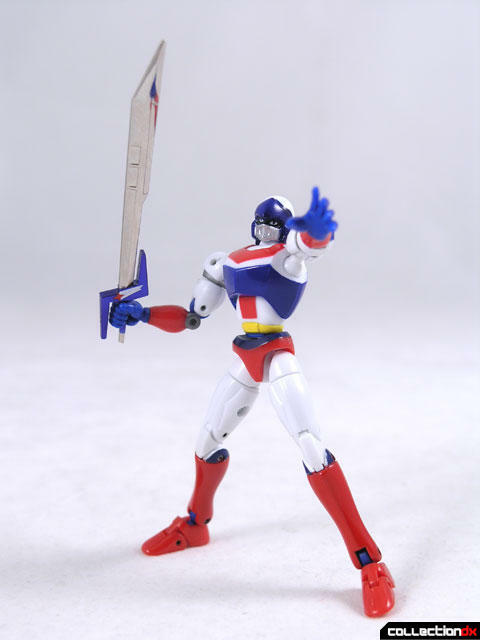 In 1986, the first Machine Robo anime "Machine Robo: Revenge of Cronos (マシンロボ クロノスの大逆襲)"ran on TV Tokyo in Japan. 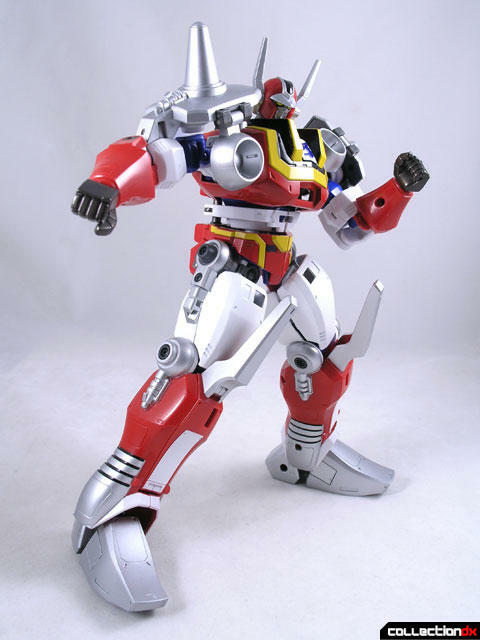 The main character of this series was one Rom Stoll - who's powered up robot suits combine to form the mighty Baikanfu. It's true, Baikanfu is second cousin to a Gobot. 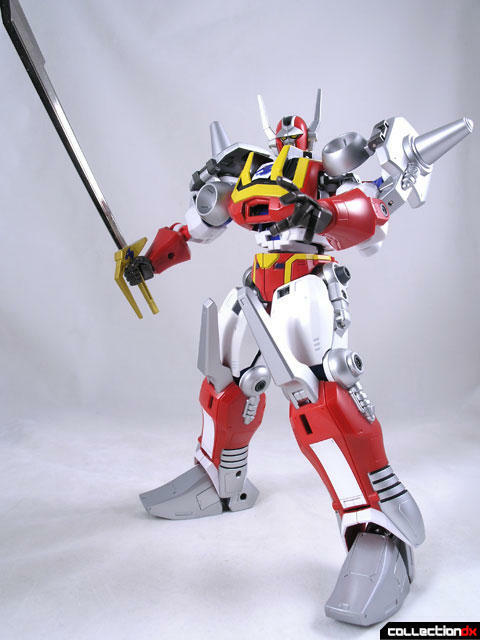 The original Baikanfu toy was a remold of the Popy / Godaikin Gardian. So now you know a little history, now lets talk about they toy. If you don't want to read, you can skip directly to the video. 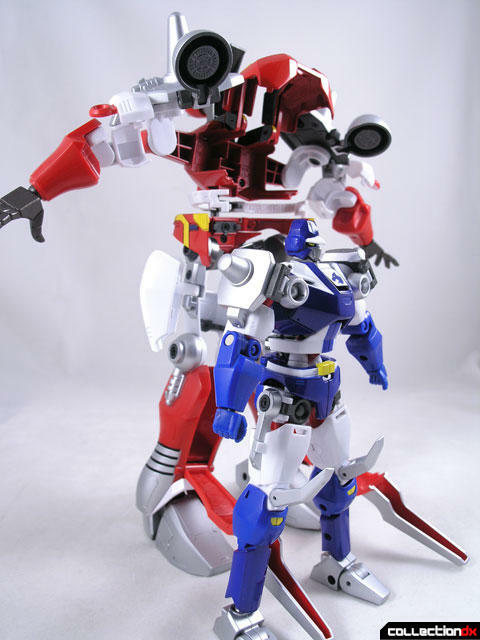 The Soul of Chogokin Baikanfu (超合金魂 バイカンフー) (also pronounced Vaikanfu) is a pretty remarkable toy. One would think that it would suffer due to the intricate transformation but that is not the case here at all. Baikanfu arrives courtesy of Betatoys.com. The packaging is your standard SOC box, this time with 2 trays inside. The Styrofoam tray holds Baikanfu and Kenryu, and the clear plastic tray holds Rom and Leina Stoll as well as the accessories. Like all Soul of Chogokin releases, a colorful guide is included. Rom Stoll is the main character of the series, and he makes up the core of Baikanfu. 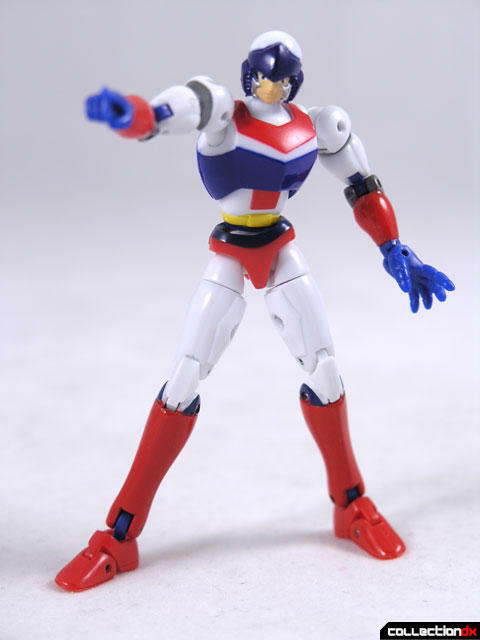 The figure is super poseable, with more joints than is probably necessary for a figure of this size. Rom is just a bit smaller than Microman size, and comes with interchangeable heads and several different hands. He comes with a sword called the Wolf Sword. Rom Stoll is mostly plastic with the lower legs being metal. Leina Stoll is the younger sister of Rom. She too is very poseable and comes with a variant head and several variant hands. Like her brother, Leina has diecast lower legs and a plastic body. 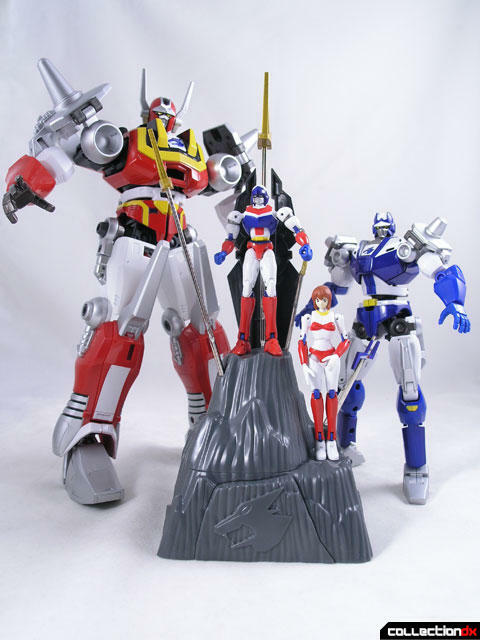 Kenryu is the larger robot body of Rom Stoll. 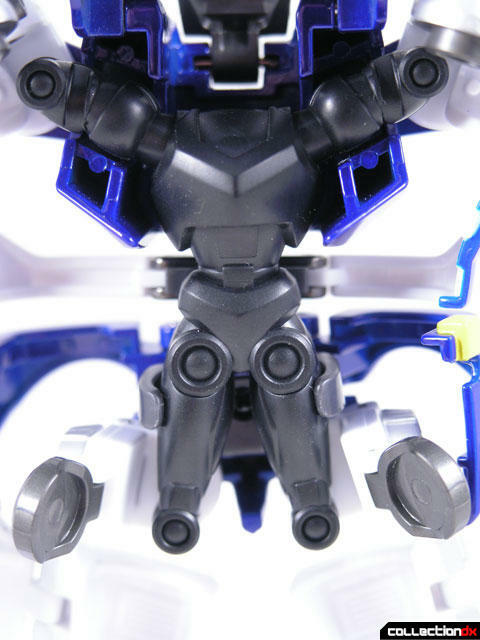 Much like a Russian nesting doll, Rom stall actually fits inside the body of Kenryu. Panels open to reveal the inside of the figure. There are a few connection points inside of the figure that Rom Stoll can securely attach to.Once inside, Rom Stoll does not in any way hinder the articulation of Kenru. The two combined look very cool and the whole form just feels solid. All of the little doors and hinges are very tight and feel very strong. Kenryu comes with a bunch of extra hands, a larger Wolf Sword and a Shield. 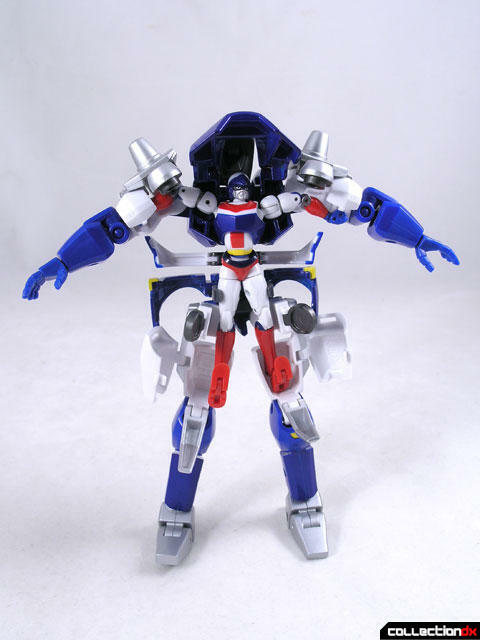 Baikanfu is the largest robot body of Rom Stoll. 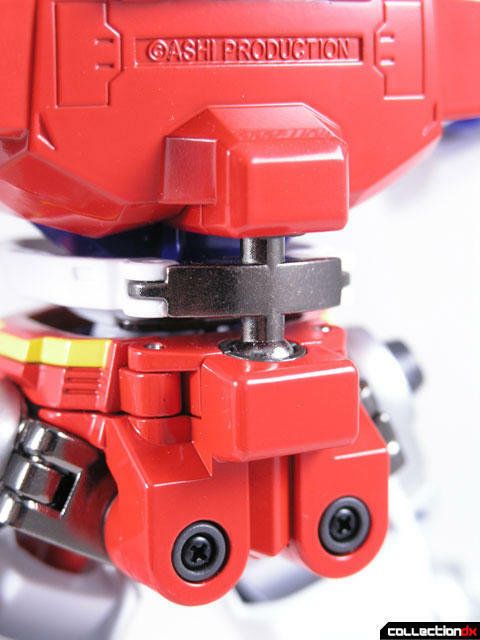 Panels all over the body of Baikanfu open up to accept the Kenryu figure.There are small clips in the upper legs that secure Kenryu in place. Once again, all the panels and hinges seem very tight and secure. I was so surprised by the durability of the peice. The level of detail is astounding, with the inside of the opening panels having detail in them. Baikanfu combined is a marvelous toy. It's heavy, tall, and cool looking. Here again you are given several different sets of hands and a large Wolf Sword. The feet on Baikanfu are really great. They can be angled side to side and also have a joint in the middle of them. Despite having two separate toys encased inside, Baikanfu remains fairly poseable. The only place where the poseablilty suffers is in the waist area. The separate waist sections of Baikanfu are made out of a metal spine joint system that allows for a small amount of movement but nothing remarkable. In addition to the figure, Baikanfu comes with a stand. This stand is designed to resemble a mountain on which Rom Stoll and Leina Stoll can stand. 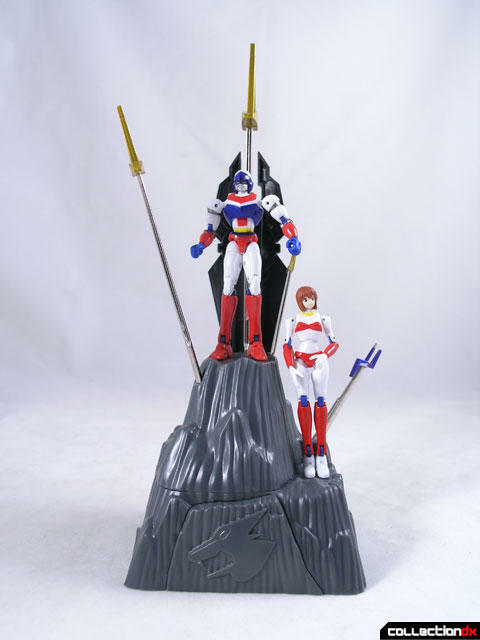 The weaponry for all of the figures can be displayed as if they were driven into the rock. The stand also separates into two parts to reveal hidden compartments to store all of the accessory fists. Also included are two "dummy" bodies to fill the empty spaces if you choose to display the components separately. I was really taken by surprise with the coolness of Baikanfu. He really exceeded my expectations in every way. He's just fun, and you don't at any point feel afraid to handle him at all. 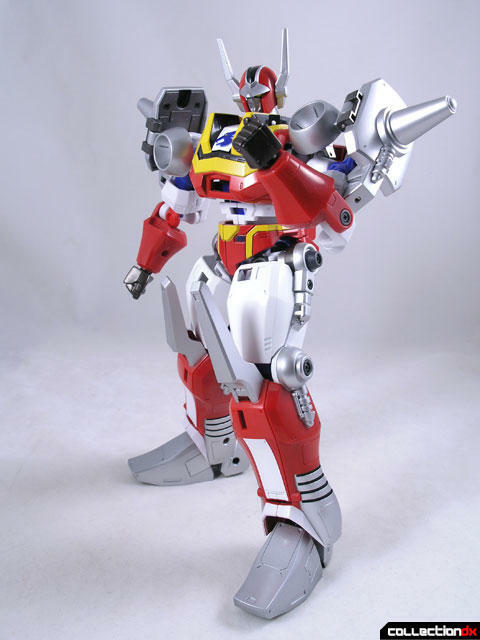 However, I have heard of/seen the robot before for the upcoming SOC GX-40 God Mars- which I've already decided is just old-school enough to still really appeal to me in a Super Sentai-type way... despite it's hefty price of 23,000Yen! A question, which parts ( red ? ) of baikanfu are actually metal ? 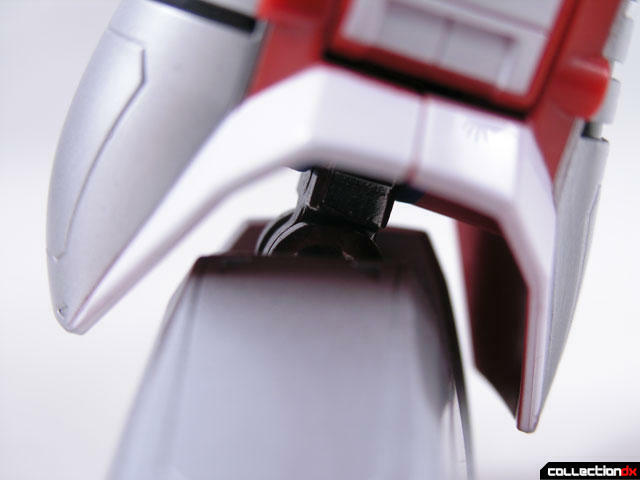 Feet, white thighs, waist, chest, back and most connectors are all metal. When the three are combined, hes quite heavy. Looks quite big for an SOC than average too- a solid 12" perhaps? Great toy, I was wondering if the old Gardian had some connection, it seemed too coincidental to be that similar. Machine Robo is one of the more tragically unknown lines. I'd argue that Machine Robo was more successful than Transformers, at least in Asia. Gobots were a failure of marketing and the unfair comparison to Transformers, toys that were 3-10 times as expensive. Machine Robo has a pretty catchy intro too. I just got this toy in the mail 2 weeks ago. 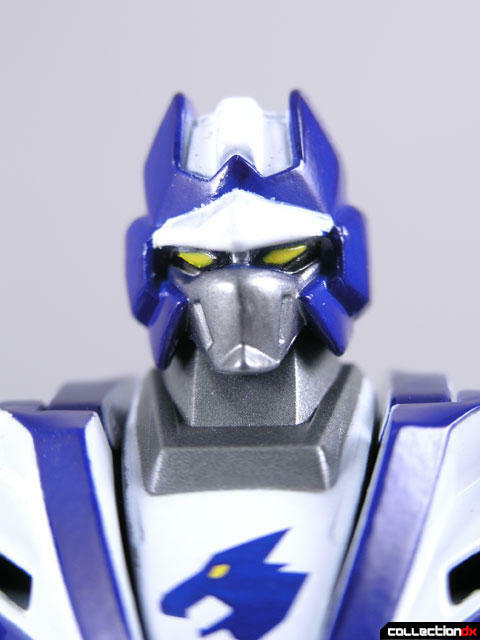 I was really impressed with it, but on mine, the head of the main robot does not close properly. The thing is big and heavy fully assembled, but it does not feel sloppy. 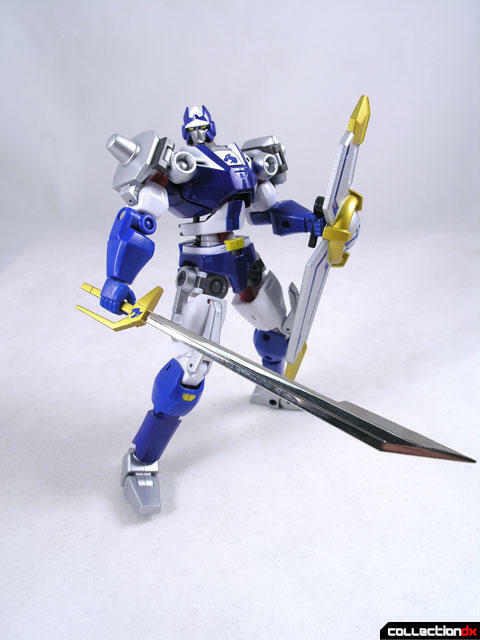 I always wanted this toy because my friend had the original guardian that I was a big fan of, but I could never find it at any of the local toy stores in rural Ca. 1. 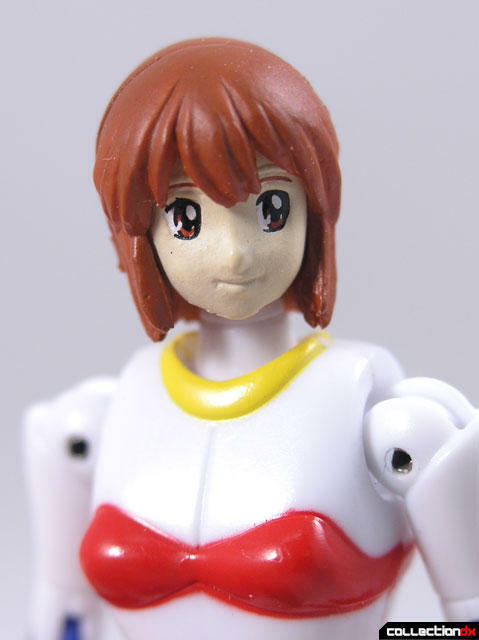 After being used to the articulation of Revoltech figures for a little while, I should have expected at least a slight let-down. 2. 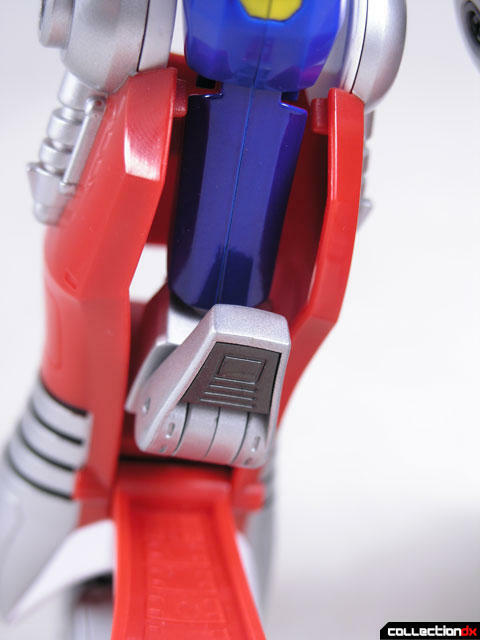 Due to the nature of the design, I should have expected some points of articulation that I've come to expect even from modern Transformers figures (Transformers being the only kind of figures I've ever really collected for a long time, up until recently) to be either limited or non-present. Remembering that Revoltech didn't completely re-establish my standards, and that the engineering of Baikanfu combined with the abundant die-cast is spectacularly neat on its own, I've realized that I love this figure, and that it was totally worth the money. EDIT, MAY 28: I've just lost the one piece I was sure I wouldn't lose, because it would be so hard to find; the tiny little connector to hold the two swords together and make a double-bladed weapon. I'm awfully upset. I got a similar Robot!! 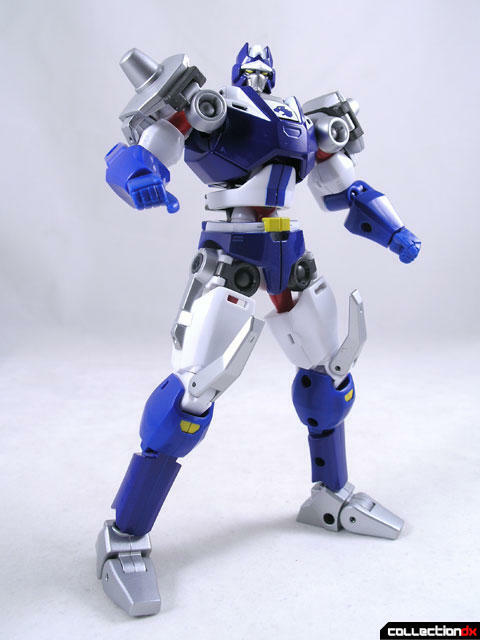 There was a similar Robot called Gardian. 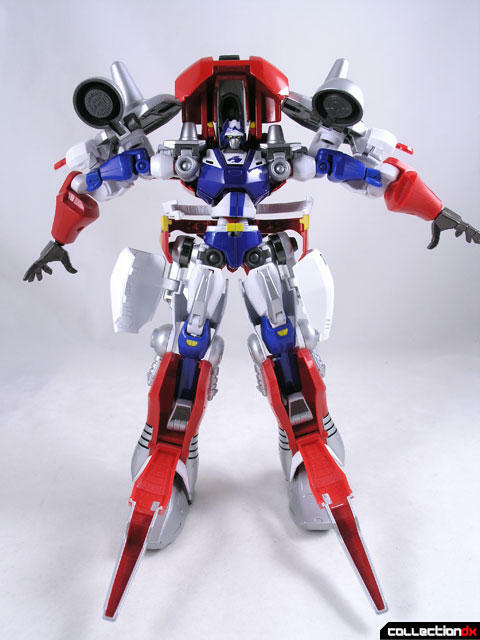 I don´t know how but I got the original DieCast Robot like 20 years ago in Ecuador, South America and now its gone. Its was the coolest robot at that time. Hehehe. I feel sorry I lost it, but with a younger brother and tons of hours of play it got broken. :( Now I got to replace it with this beautiful robot. Can the Leina Stoll figure pilot the robots instead of her brother? Does she fit inside Kenryu?